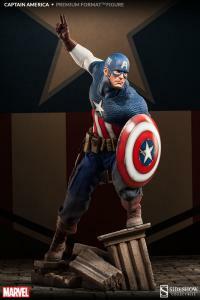 "I can't surrender. I don't know how!" 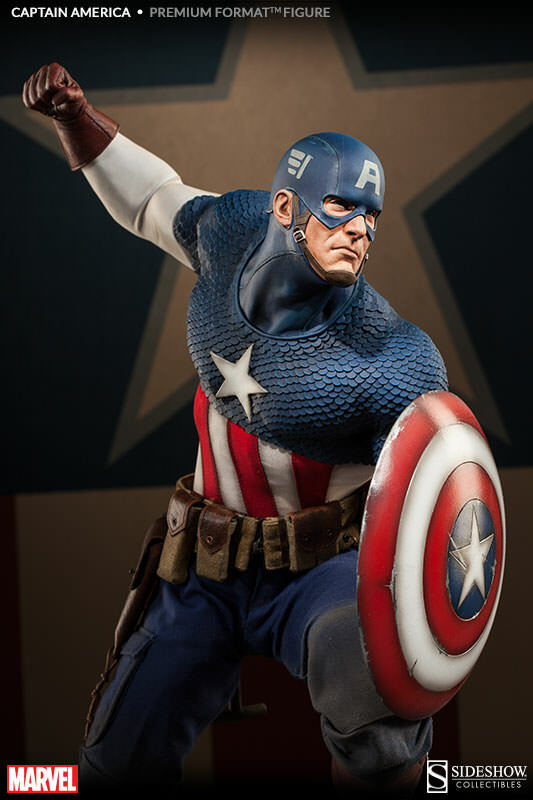 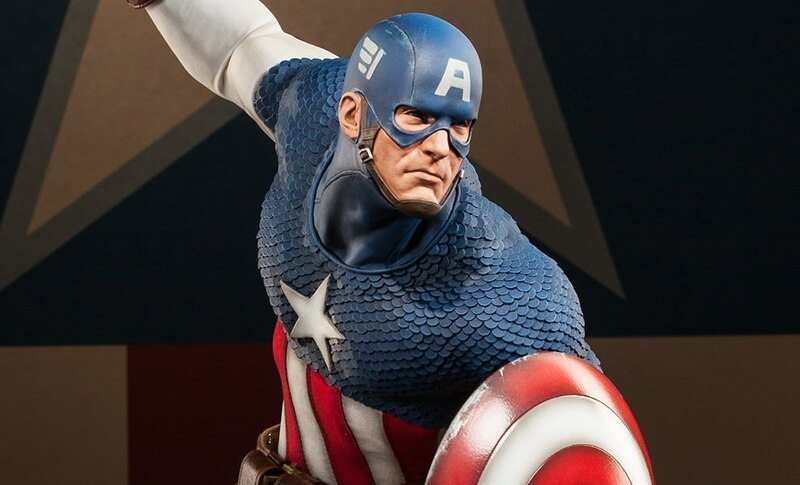 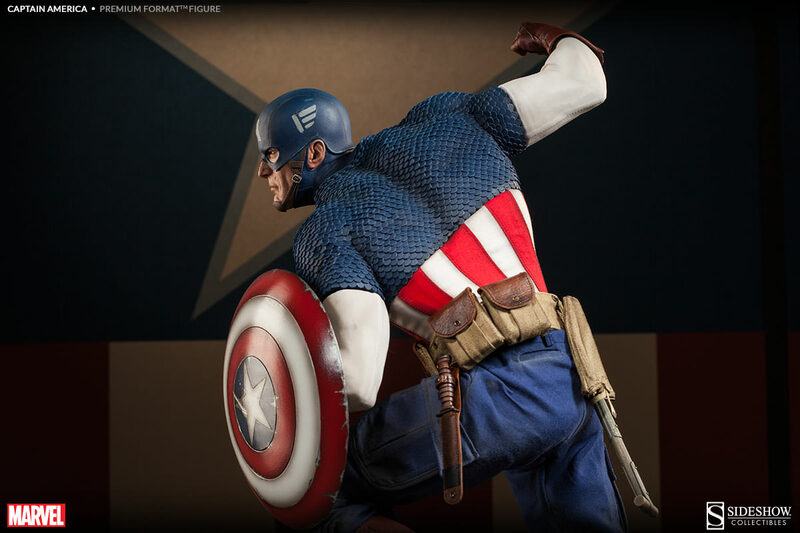 Sideshow is proud to celebrate the World War II era of Marvel's legendary American icon with the Captain America - Allied Charge on Hydra Premium Format Figure. Featuring a stunning combination of comic book stylization and enhanced realism, Captain America vaults over rubble and onto the battlefield in this expertly crafted, dynamic composition. 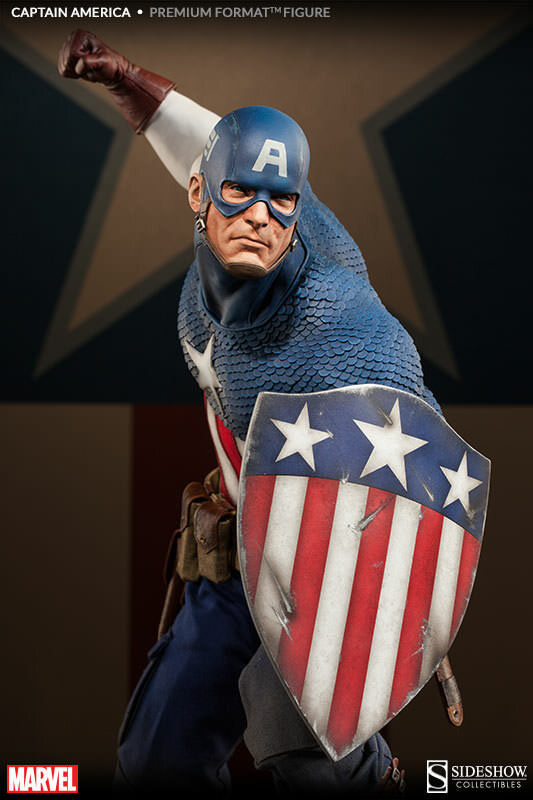 Equipped with his signature weapon and defense, Cap comes prepared to fight with two variations of his iconic shield - the classic triangular badge-shaped design, and the more modern circular disc shield he is best associated with today. 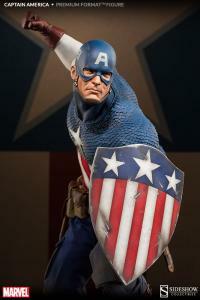 The Star-Spangled super soldier dons his classic USO hand-tailored fabric uniform, with sculpted armor details and authentic standard issue WWII military belt, fitted with storage pouches, holstered knife and sidearm, and entrenching shovel with scabbard. With one arm raised high above his head, included swap-out fist and signal hand gestures demonstrate two of Cap's finest traits, determination and leadership. 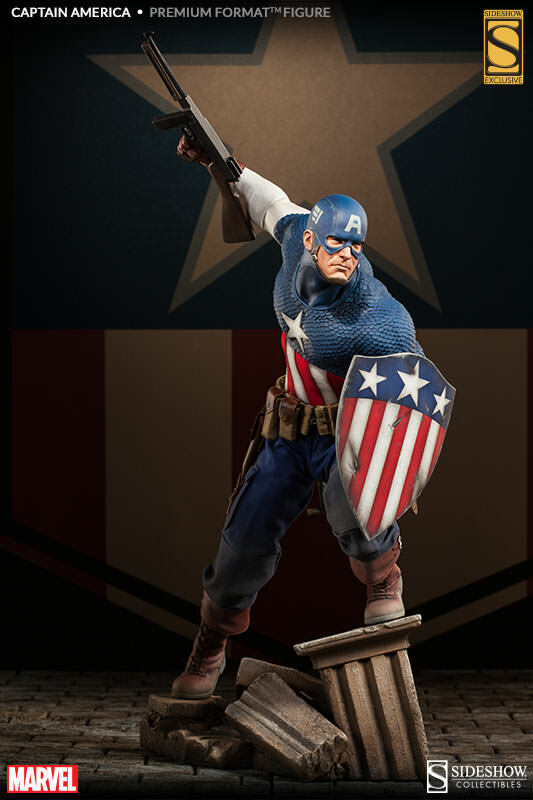 An enduring fan-favorite and symbol of freedom, the Captain America - Allied Charge on Hydra Premium Format Figure is an essential addition to any Marvel collection! 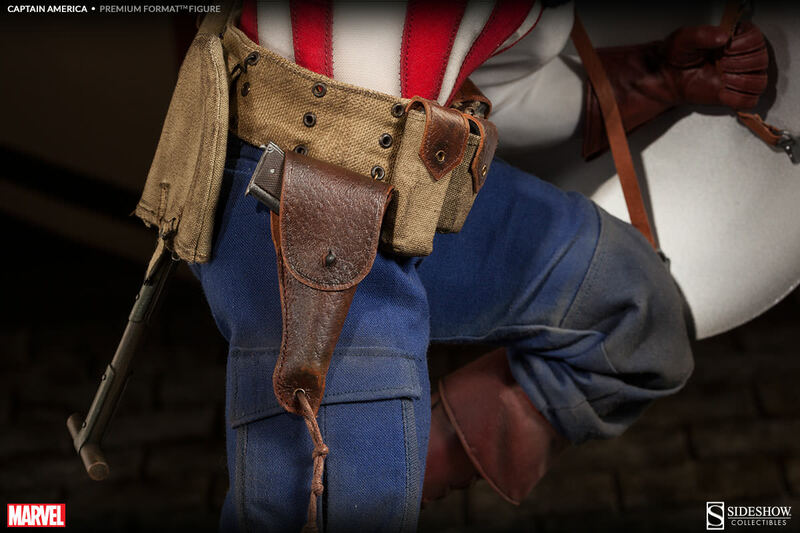 The Star-Spangled super soldier dons his classic USO hand-tailored fabric uniform, with sculpted armor details and authentic standard issue WWII military belt, fitted with storage pouches, holstered knife and sidearm, and entrenching shovel with scabbard. With one arm raised high above his head, included swap-out fist and signal hand gestures demonstrate two of Cap's finest traits, determination and leadership - and with the addition of the Sideshow Exclusive, he is armed for his mission with a Thompson submachine gun. 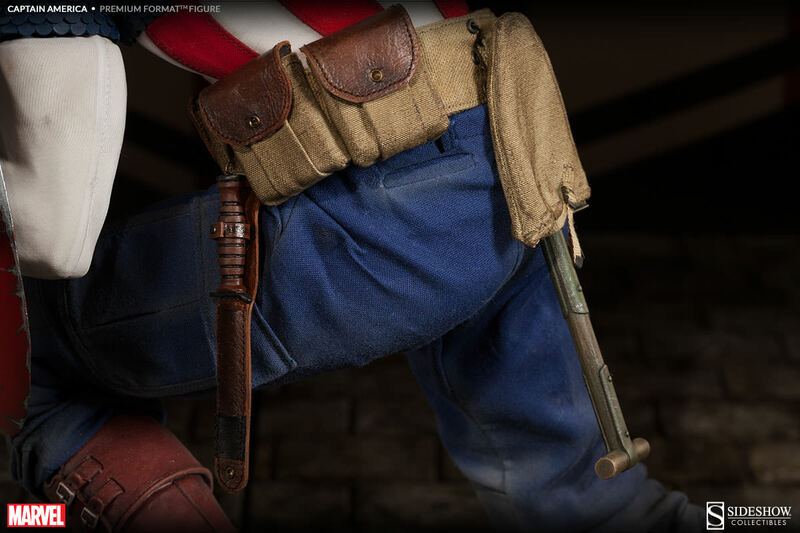 Impeccable detail for Cap! 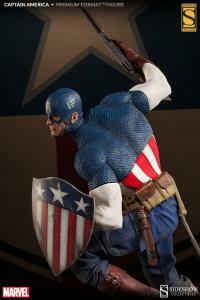 This is the winghead we have all been waiting for! 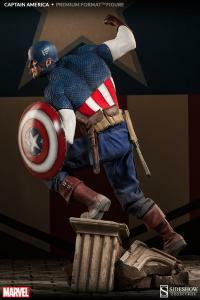 Their have been many renditions of our Star Spangled Avenger... SideShow combines all the best to make the best! 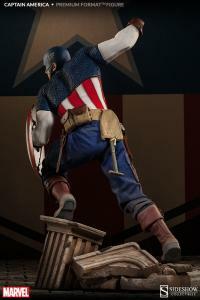 A glorious piece. 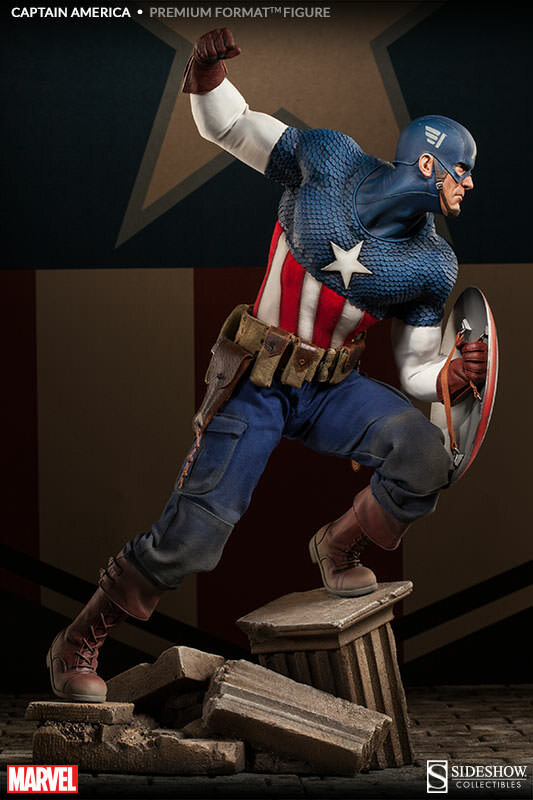 Love the action pose!! 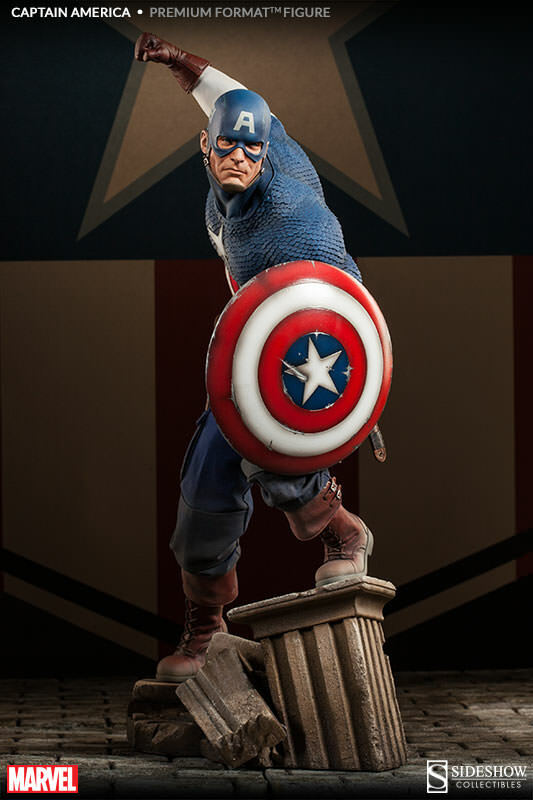 Exclusive with 3 hands & 2 shields gives you various display options!! Cap lovers will not be disappointed.